Cover letters are an often-overlooked part of the job application process. Many people focus on their resume and submit a boilerplate cover letter, with only a quick reformatting of the company name and job title. Recruiters take notice of this though, and when you have to reduce your 40,000 applicants down to 1,500 interns (like at Google), it’s important to stand out in any way possible. We researched 7 commonly made mistakes on cover letters and how to fix them. Introductions are the first way to grab the attention of the reader. Many people make the mistake of starting off with “To whom it may concern” or “Dear XYZ company recruiter.” Whenever possible, use the name or title of the person reading your letter – if it’s not in the job posting, find them on the company website or LinkedIn. This shows the recruiter you took the time to research not only the company, but who specifically would oversee your application. Recruiters will use any excuse to weed out applicants, and demonstrating initiative is a great first step to getting noticed. You can further solidify your initiative by striking the right tone in your opening sentence. If possible, check the company’s social media profiles. Many larger companies have accounts specifically https://blog.transparentcareer.com/essay-on-importance-of-reading-story-books/, and matching the company’s tone is a great way to show the recruiter that you fit the company culture. Use a past experience or characteristic, or even a story, to show off your personality and catch the attention of the reader. Don’t start off with your name – they’ve already seen that on your resume. Use the hook to show off the person behind the name. Don’t summarize your resume in your cover letter. Although recruiters spend an average of 6 seconds looking at a resume, don’t use that as an excuse to tell the exact same story in your cover letter. Resumes are often used as a check box – to quickly assess whether or not you meet certain qualifications and then move on, either to another candidate or to your cover letter. Use this opportunity to highlight experiences from your resume and why they fit what the company is looking for in a candidate. Always focus on what your experiences can do for the company. Recruiters have a lot of applications to go through, so if you’ve written a novel chock-full of intricate details about your life, they’ll happily move on to the next applicant. The general rule of thumb is to keep your cover letter to one page. This is long enough to better introduce yourself and your interest in the company, but concise enough to not waste the reader’s time. One page shows that you’re able to condense information and adhere to professional writing principles. It’s important to show off your personality to the recruiter. Explain why you have interest in that company specifically, and why you believe you fit the company’s goals and atmosphere. This is the easiest way to show that you haven’t sent out the same cover letter to each company and changed a few key words. You can keep some general things the same between cover letters, but this is a chance to tailor your experiences and goals to how they fit the company. Your experience studying abroad in Germany might sound great to a travel company, but if you’re applying to a hedge fund in might be better to discuss your internship at a German bank during your study abroad. The same experience, but tailored to the job. It’s a common mistake to emphasize your own experiences and characteristics when applying to a company. What you should do instead is highlight your experiences and how they connect to the company. Recruiters want to see that you’ve taken the time to research the position, and if you spend the whole time talking about what you’ve done there’s no indication that you even know what company to which you’re applying. Take a look at the company’s website and find keywords frequently used on the site. This doesn’t mean to use buzzwords like “hard-working” or “detail focused”, but if the company talks about being community focused, discuss what your community service has taught you and how you can bring that to the position. Talk about yourself, but always connect that back to how that fits in with the employer. If you have any personal experience with the company or an employee (coffee chat, recruiting event, etc.) that inspired you to apply to the company, this is a great place to put it. However, this is not an excuse to namedrop someone you know at the company. This might sound obvious, but 56% of candidates lie on their applications (and those are only the ones that get caught!). 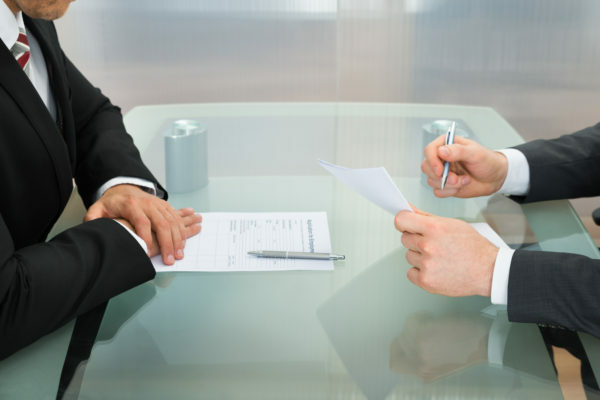 Most people assume that recruiters won’t look to verify claims on the resume, but being caught in a lie is not a great start if you’re looking for a job. It’s better to be honest about your skills and your experiences, as opposed to embellishing or claiming you have experience with social media marketing because you’re on Facebook a lot (please don’t do this…ever). It’s okay to have a few shortcomings or gaps in your experience: 43% of interviewers say that they would even consider a candidate with 3 out of 5 desired qualifications, so long as they were willing to learn and fit well with the company. If you’re looking for more reading on cover letters, check out this article by David Heinemeier Hansson, or the cover letter he considers the new gold standard from a web developer. Want more? Check out our sample cover letter here. Looking for help writing your resume? Check out our article here! Looking for help in the job search? TransparentCareer provides free data on career navigation, compensation, and salary negotiation. Get paid what you’re worth! Sign up for free here.